The latest news from The Clover Foundation of Santa Clara County. 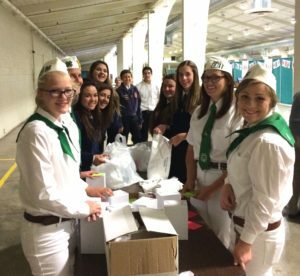 The Clover Foundation Youth Ag Fundraiser and Dinner – November 3rd! Heritage Hog – Ilona Mauro & Shamrock! This year’s Heritage Hog, Shamrock heads to the auction at the Santa Clara county fair on Saturday, August 4th, weighing in at 259 pounds. Coming into this, I knew that I would get more out of it then just the scholarship. Raising this year’s heritage hog came with its own challenges, especially when he got ulcers. I had to contact a vet, administer medication, and change his feeding program in order to help him. I had to learn how to write speeches and how to market myself and the foundation to outside groups. I am so thankful for this experience and growth that I have gained this season. I am grateful to the Clover Foundation for the opportunities they have provided me as I head of to college at the University of Nevada Reno this fall. I am Ilona Mauro. At school I am known for my roles in the theater and dance productions. But I am more pleased to introduce myself here as this year’s recipient of the Clover Foundation Heritage Hog Scholarship. I also serve on the Santa Clara County Junior Fair Board and I am in my eighth year as a young agriculturalist in the Hilltop 4-H Club. Our small club size means everyone has to pitch in helping each other with projects and taking on leadership roles. As club President, it is my responsibility to schedule meetings, create meeting agendas, delegate jobs, and to keep my executive board on task. Working together with other youth has also taught me about community, and how we need to support each other, be a good citizen, friend, leader, and competitor. It’s not all about winning, but the experiences that you get along the way. 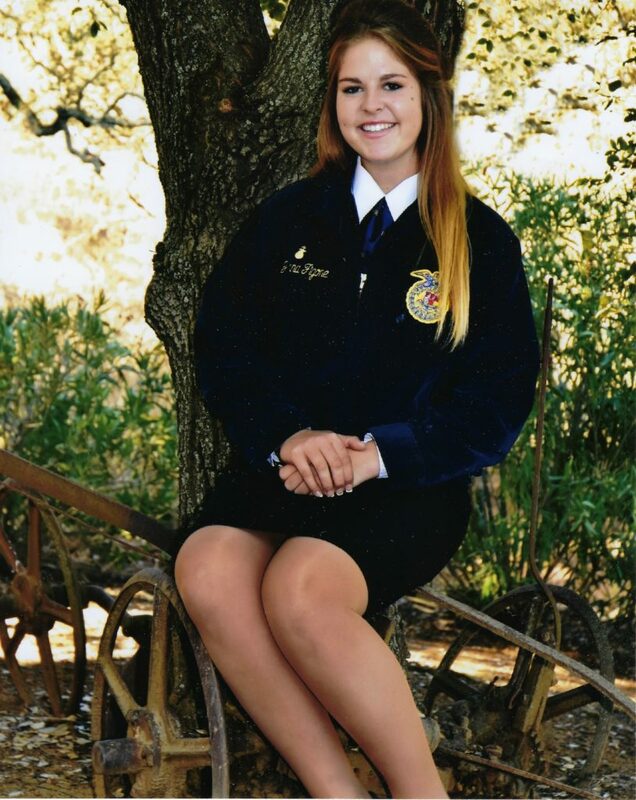 I plan to continue the team spirit and “learning by doing” I have learned in my livestock experience with new generations of young agriculturalists, as I leave for college in the Fall for a career in Agricultural Education. I will be raising a hog for the Clover Foundation to auction off at the 2018 Santa Clara County Fair. It will be my 9th hog. I look forward to coming around Santa Clara County over the next several months to talk with all of you about the Clover Foundation and youth in agriculture right here in Santa Clara County. I look forward to meeting you. If you are interested in having me speak with your group, please contact the Clover Foundation. I’ll be posting more about my year here in the the upcoming months. 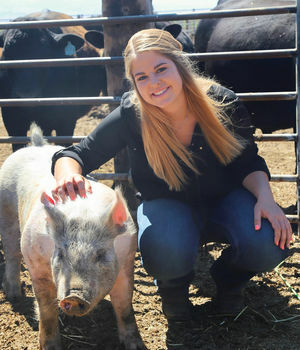 Meet the 2018 Clover Foundations Heritage Hog Winner – Ilona Mauro! 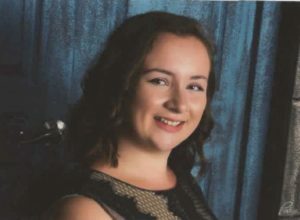 Meet the 2017 Clover Foundations Heritage Hog Winner – Julianna Figone! Hi! My name is Julianna Figone and I am a senior at Gilroy High School and a fourth year member of the Gilroy FFA. All my life, I have been involved with the agricultural community and the cattle industry. I am very proud of the fact that I am a third-generation agriculturalist in Santa Clara County. At the age of five, I joined 4-H and have raised rabbits, swine, sheep, goats and cattle. I have served as a club officer and All Star for the past two years and have attended many leadership conferences. In Gilroy FFA, I have served as a chapter and sectional officer, raised sheep and goats, and have attended annual leadership conferences as well. I have a growing passion for agriculture and am excited to attend University of Idaho in the fall to earn a bachelor’s degree in Agriculture Economics. I hope to eventually earn my master’s degree and become a water attorney representing agricultural interests in the United States. This year, I am fortunate enough to receive the opportunity to raise the Heritage Hog that will be sold at the 2017 Santa Clara County Fair Livestock Auction. Along with the hog, I was awarded a scholarship which will help me achieve my goals of becoming a water attorney. 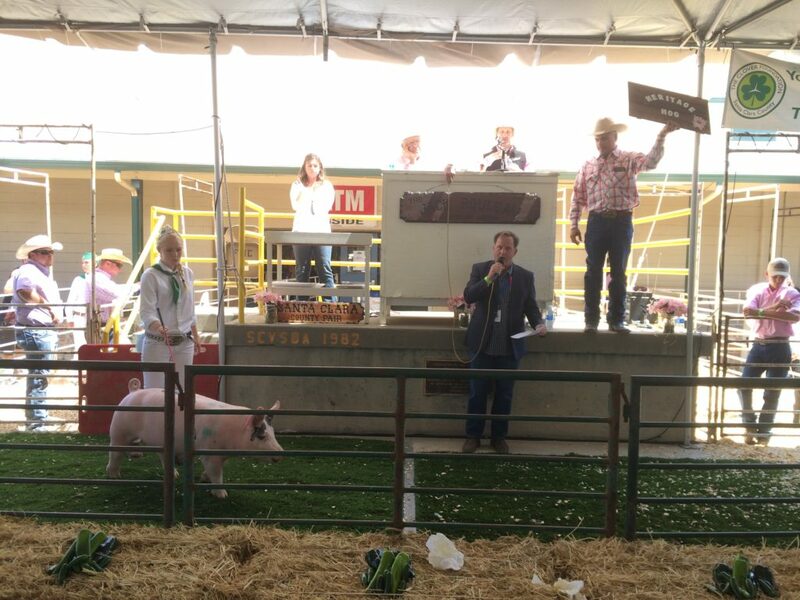 When my hog is auctioned, all profits will go toward future college scholarships and zero interest loans for youth in Santa Clara County that are involved in 4H or FFA. The Clover Foundation has provided tremendous support to 4H and FFA members for many years and I’m extremely thankful to be given the opportunity to help support future youth. I am looking forward to raising awareness of The Clover Foundation of Santa Clara County and furthering the progress of the organization. 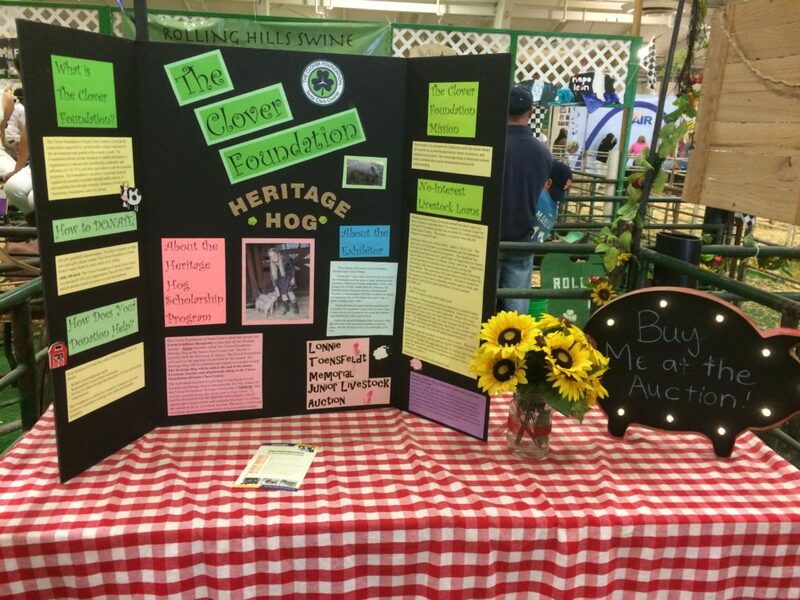 The Clover Foundation of Santa Clara County is looking for a local Santa Clara County Youth Exhibitor (Recipient) to raise and sell The Clover Foundation Heritage Hog at the Santa Clara County Fair. The Clover Foundation will cover expenses for the purchase of and feed for the animal. The Heritage Hog will be exhibited by the Recipient, judged as a market animal, and sold during the Junior Livestock Auction. All proceeds from the sale of the Heritage Hog will go directly to The Clover Foundation of Santa Clara County. 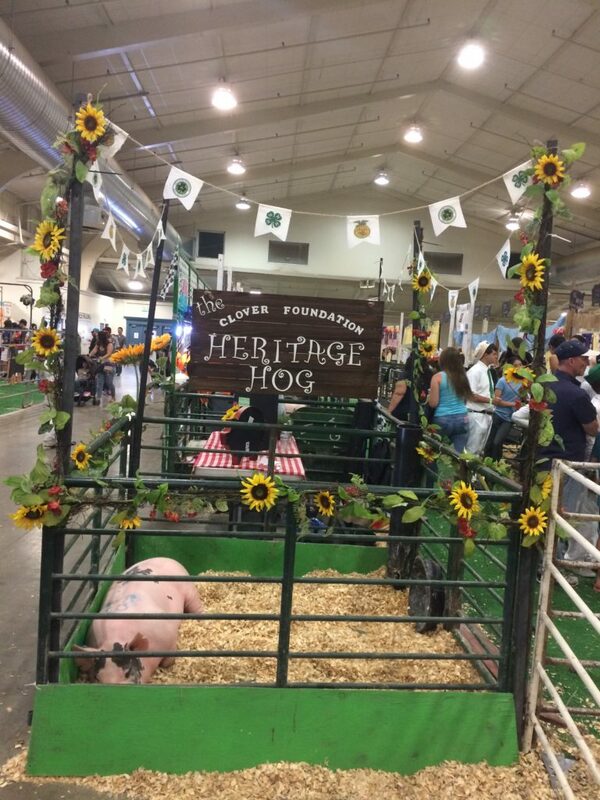 The applicant awarded the privilege to show and sell the Heritage Hog is also allowed to sell an additional exhibitor-owned animal through the auction per Junior Auction Rules. The 2018 Fair will be held the week of July 30 – August 5, 2018. All applicants are required to complete the following documents and submit the completed application packet to the address listed below. Mailed packets must be postmarked no later than no later than the Due Date listed above. AGREEMENT/Recipient Terms and Conditions: Upon selection, the Recipient will be required to meet certain terms and conditions as outlined in the ‘AGREEMENT’ document between The Clover Foundation and the Heritage Hog recipient. Please review this document carefully. This form must be signed by the applicant, his/her parent or guardian and his/her 4-H Leader or FFA Advisor. LETTER OF RECOMMENDATION/4-H Leader or FFA Advisor: This form must be completed by a 4-H Leader or FFA Advisor and returned in a sealed envelope with the Leader/Advisor’s signature across the seal and the applicant’s name printed on the front of the envelope. LETTER OF RECOMMENDATION/Personal: This form must be completed by a personal reference who is not a family member, 4-H Leader, or FFA Advisor and returned in a sealed envelope with the signature of the person who completed the form across the seal and the applicant’s name printed on the front of the envelope. Interviews will be required. Applicants will be notified by phone or email if an interview is requested. Upon selection, the Recipient will be required to meet certain terms and conditions as further outlined in the ‘Agreement’ document between the Clover Foundation and the Heritage Hog recipient. Please review this document carefully. The individual who is awarded the privilege of raising the Clover Foundation Heritage Hog is automatically the only finalist for the Clover Foundation Heritage Scholarship of $4000.00. This will be awarded during the senior year in High school. To receive the scholarship the applicant must comply with all agreed upon requirements and complete the project by selling the animal at the Jr. Livestock Auction. The money will be sent to college upon proof of enrollment in an accredited college. The winner of the Clover Heritage Scholarship is not eligible for any additional Clover Foundation Scholarships. My name is Jackie Penner. I grew up in Santa Clara County wanting to live on a farm and raise livestock. Living in the heart of Silicon Valley, miles from a rural area, made my dream seem impossible to achieve. Until, one day my Aunt told me about her neighbor that had a pig and was part of an organization called 4-H. Through a google search I found out that youth can learn about livestock in 4-H and there was a 4-H community ranch very close to my home. I signed up immediately and started learning about livestock. I have been in 4-H for seven years now. 4-H gave me the opportunity to participate in club, county, section, state, national and international events. 4-H helped me find my voice, my confidence and become a better communicator. When I first joined 4-H, I was very shy and quiet. I grew up with speech and language challenges, which made it difficult for me to talk with people that I didn’t know. To accomplish my goals in 4-H, I had to do a lot of public speaking, so this pushed me to break away from my inner fears and build confidence. Now I am not afraid to talk with people and I feel more confident. I have also learned many life skills like leadership hard work and goal management. 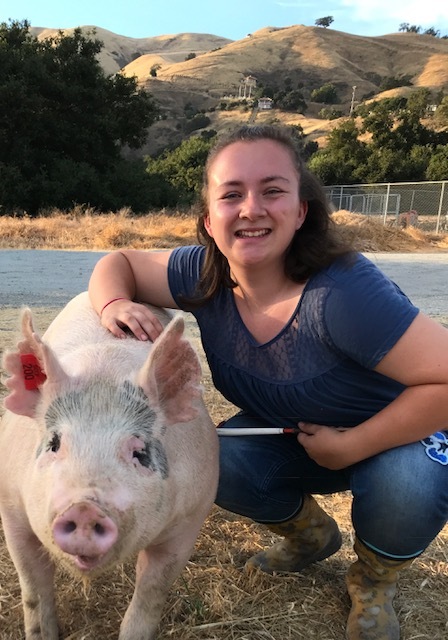 Today, I am a California 4-H State Ambassador and the Youth Chair for the California 4-H State Animal Science Education Advisory Committee. At our 4-H community ranch I learned that kidding season is serious business, but it can also be very rewarding. I enjoy helping to deliver kids and seeing the miracles of life be born. I hope to continue my journey that started as a dream of raising livestock and pursue a degree in nursing at Washington State University. 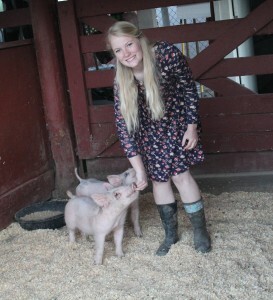 One day I want to have a small farm and become a pediatric or delivery nurse. This year I was selected to raise the Heritage Hog and receive a scholarship from The Clover Foundation, which I am really excited about! Having the opportunity to raise the Heritage Hog is an honor, because the Clover Foundation has done so much for the youth our county. The Clover Foundation is a non-profit corporation dedicated to the development and growth of youth in the Santa Clara County. 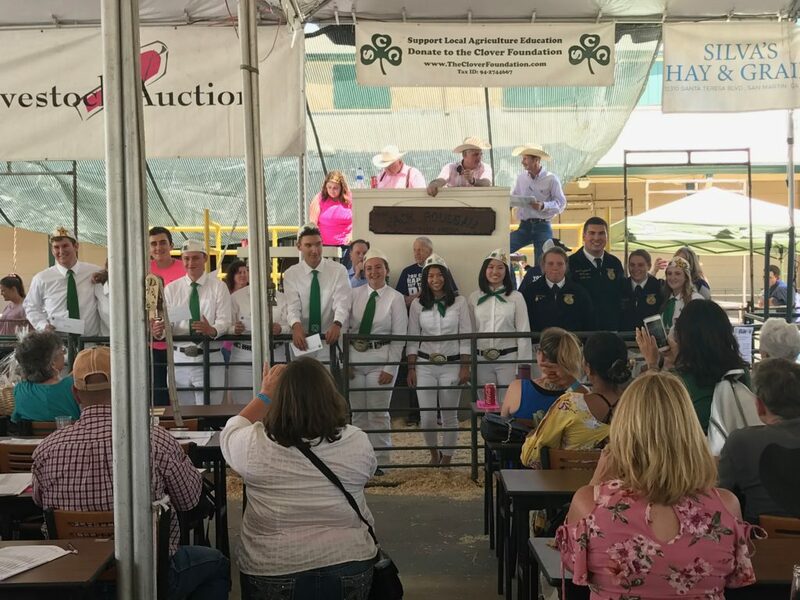 The foundation provides college scholarships, provides no interest loans to help youth purchase market animals, and donates funds to help keep The Santa Clara County Fair and agriculture alive in our community. The Heritage Hog, Lilly, will be auctioned off at the Santa Clara county fair on Saturday, August 6th at 10am. I would like to invite you to attend the auction and buy this fabulous pig for a really good cause. I am raising the hog in a healthy and nurturing environment, which includes a lot of cuddles. I hope to see you at the auction. If you have any questions or if you are interested in the Heritage Hog, come see me. Thank you for supporting the Clover Foundation by attending the Gala.